There is nothing quite like having some marshmallows roasting on an open fire with a mug of toasty hot chocolate in your hands, where you would then regale stories of yore with your family and friends. The thing is, here is a unique £8.99 Marshmallow Pencil and Eraser that is a writing instrument that looks delicious enough to eat, now how about that? 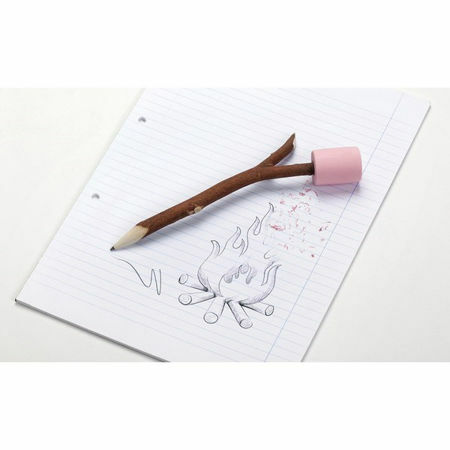 It comes in the form of a shape of a twig with a marshmallow attached, and this particular pencil and eraser duo would make for an extremely cute gift for any design and stationery lover.